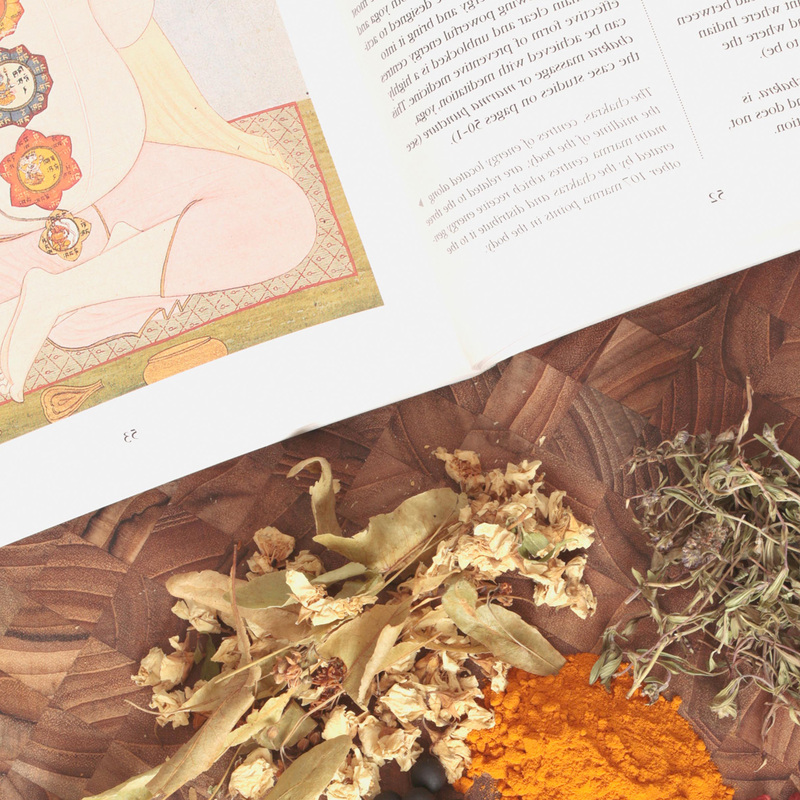 Ayurveda is one of the world's oldest holistic healing systems. It originated in India over 3,000 years ago, where it is still widely utilised alongside, or as an alternative to modern medical practices today. Ayurveda, which directly translates as 'the science of life', employs natural methods to bring mind, body and spirit into harmony. An Ayurvedic therapist will prescribe individualised treatment based on your composition, which is determined by your dosha (energy) balance. When our three doshas - kapha, pitta and vata - work synergistically, our physical and mental well-being is restored. Ayurvedic nutrition prescribes a diet based on your individual needs, which are determined by your dosha balance. It favours natural whole foods and considers how we eat as well as what we eat. Herbal remedies can be administered to the skin during massage, inhaled via aromatherapy, ingested as a tea, or taken as a tablet. Our spiritual connection with plants unlocks their healing potential. Marma point acupuncture involves the manipulation of the flow of prana (life energy) in the subtle body, using fine needles to stimulate the marma points (energy points linked to the doshas). Through unblocking the energy body this painless procedure can help to release tightness in the physical body, or strong emotions we subconsciously cling to, leaving us feeling relaxed and content. Marma Points are where muscles, joints, bones, ligaments or tendons meet and gentle pressure is applied on these points during Marma Point Massage to balance the flow of energy in the body.